Medium height to tall, up to 1m. 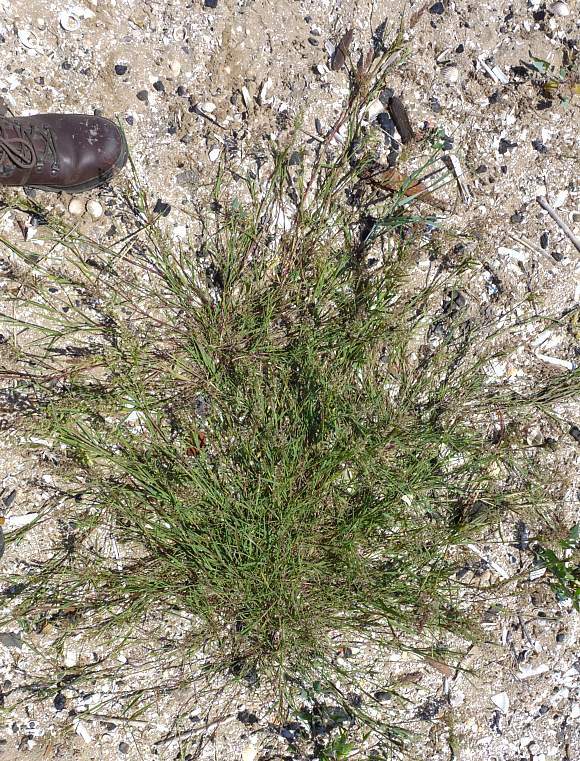 This specimen is creeping along the sand slacks, rooting at nodes as is its wont, using its stolons, hence its specific epithet 'stolonifera'. The creeping runners can run for 2m before they become exhausted by the exertion. 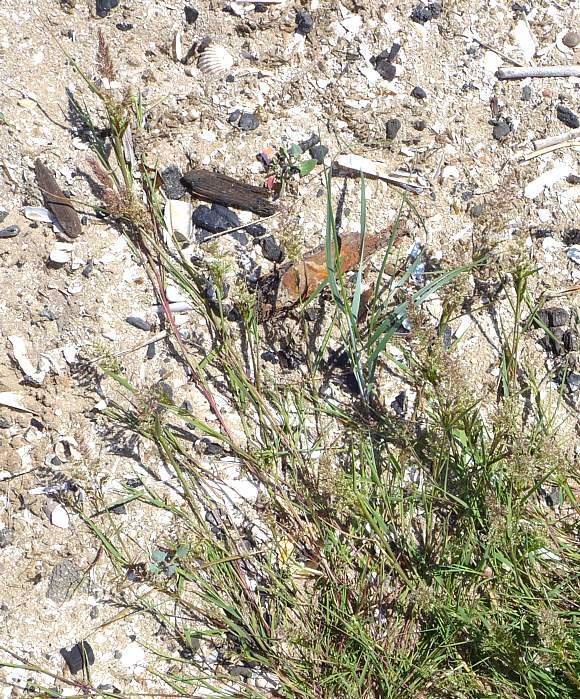 Some thought it to be Water Bent , which is a lot less common, but in the end, a luscious specimen of Creeping Bent was decided, not least by its location, where many others reside. 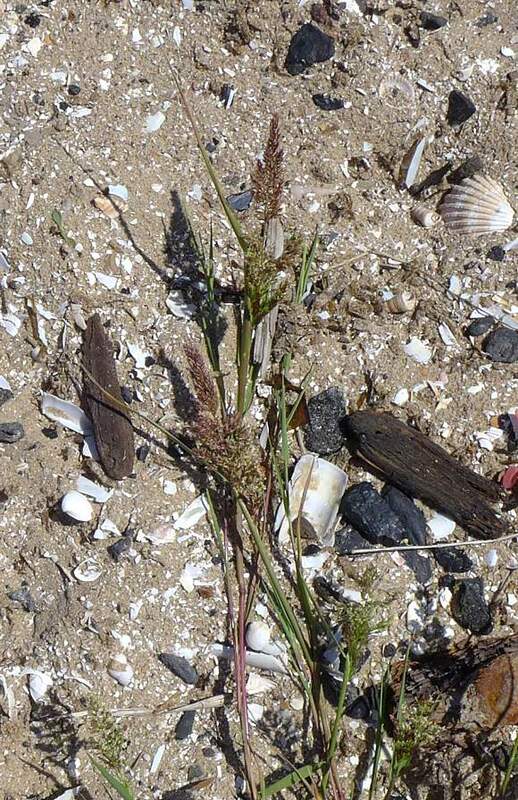 Your Author is told that this is a particularly luscious specimen of Creeping Bent and many had difficulty identifying it. The flowering heads are quite luscious on this specimen. It is said that the inter-genera hybrid with Annual Beard-grass (Polypogon monspeliensis) is also luscious. Your Author does not know but Annual Beard-grass has never been recorded in this area and neither has the said inter-genera hybrid. [Held aloft for visibility and photography]. Hundreds of potential florets. The top half of a flowering head. The sepals/tepal are reddish purple. 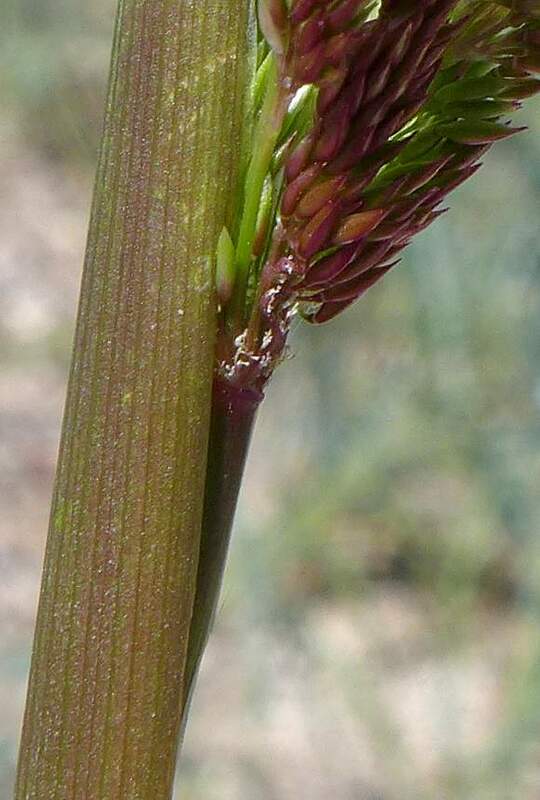 The panicles are contracted during the fruiting stage. The flowers are in panicles. Parts here are in flower with the cream-coloured x-shaped anthers dangling on long filaments. 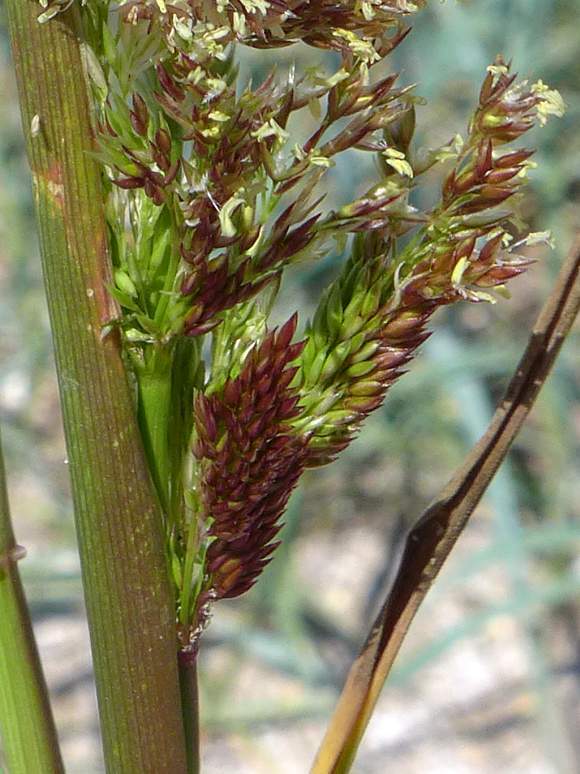 The two glumes are reddish-purple and encapsulate the flower. The similarly shaped lemmas within them are usually un-awned (no spike) - but top right shows some with short awns. 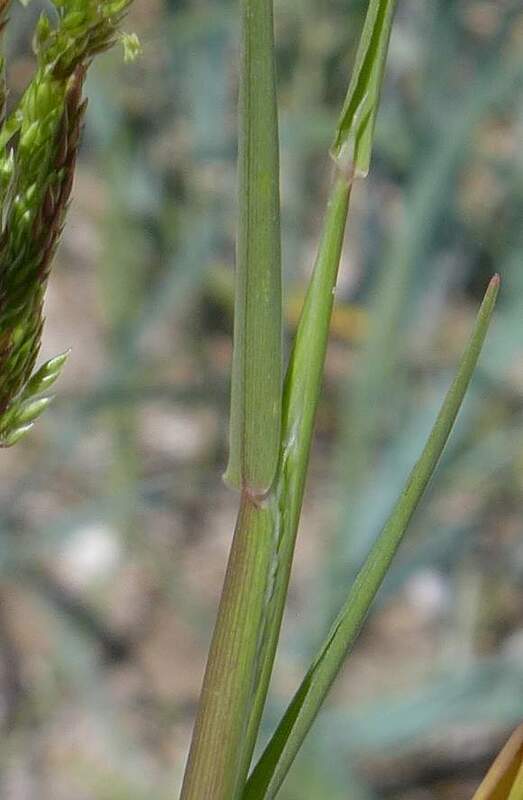 Stems round with numerous slight ridges. Some stigmas visible in the centre. 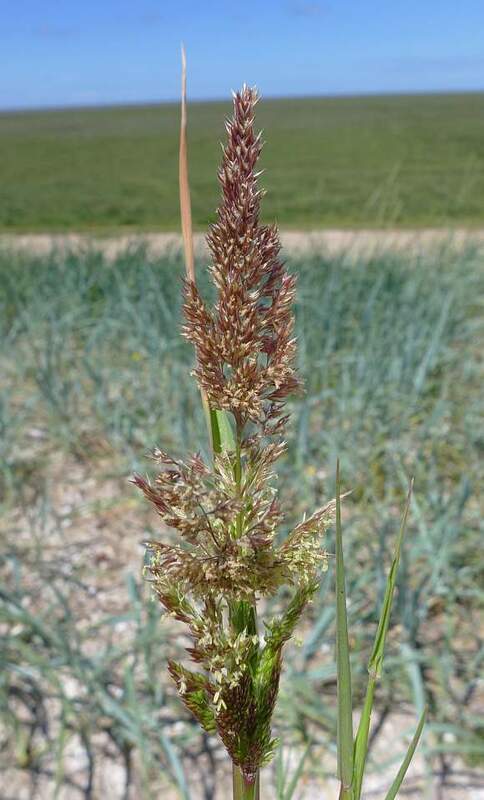 The ligules (the bit between where sheath and leaf part) are long (top right). Creeping Bent (Agrostis stolonifera) × Annual Beard-grass (Polypogon monspeliensis) to produce &TIMES; Agropogon lutosus which resembles an awned version of Water Bent (Polypogon viridis) despite the Inter-Genera hybrid just below acually being a hybrid with Water Bent ! 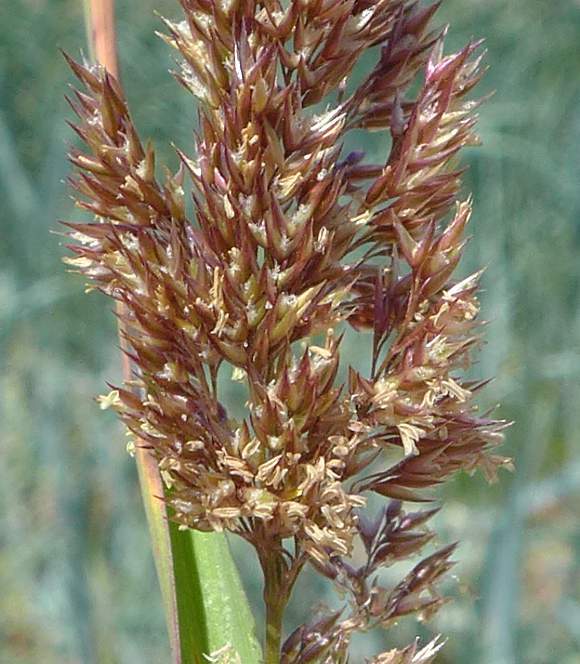 Creeping Bent (Agrostis stolonifera) × Water Bent (Polypogon viridis) to produce &TIMES; Agropogon robinsonii which is only a short-lived perennial and, like the Inter-Genera hybrid above (&TIMES; Agropogon lutosus). 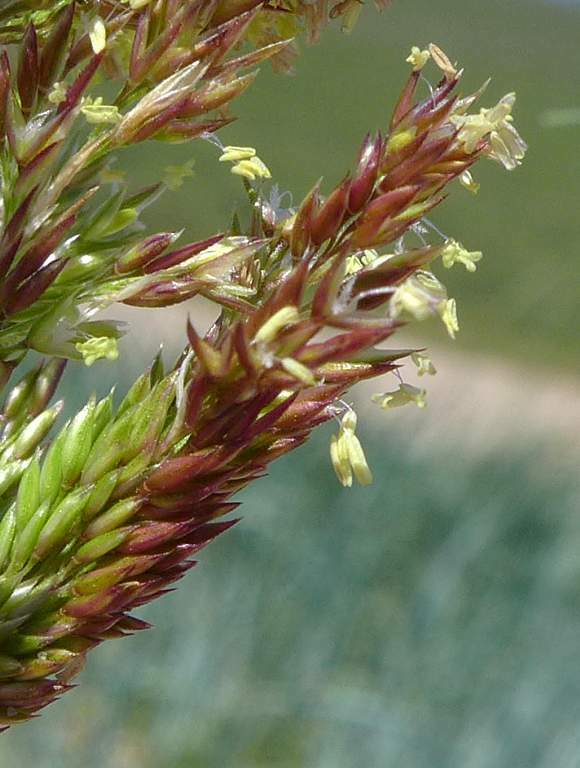 Both of these inter-genera hybrids differ from Creeping Bent (Agrostis stolonifera) in having a more compact panicleof flowers and shorter pedicels (flower stalks). The mere existence of inter-genera (aka inter-specific) hybrids probably means that the taxonomy of one (or more) species is incorrect; inter-genera hybrids should not really exist. Inter-genera hybrids are usually sterile, unable to propagate sexually (although they may spread vegetatively). 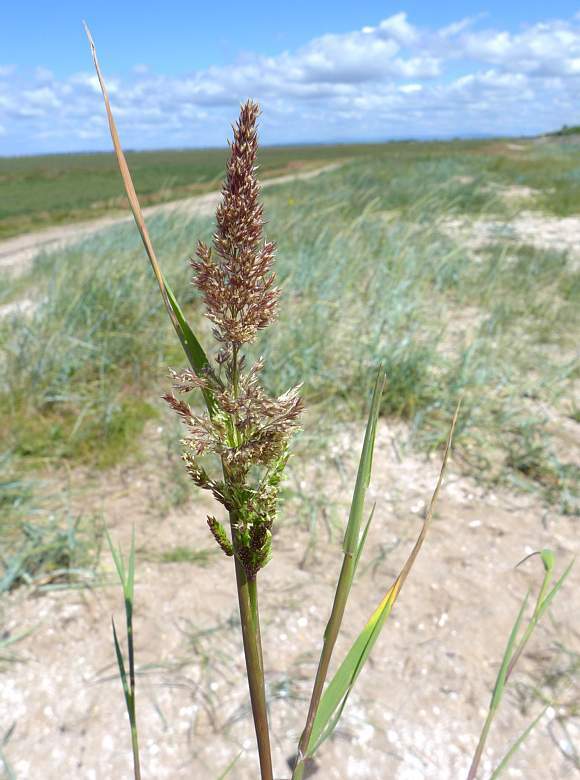 Bents are hard to differentiate between each other not only because of plastic variation between the same species but also because they so readily hybridize with themselves and with grasses in another genera. 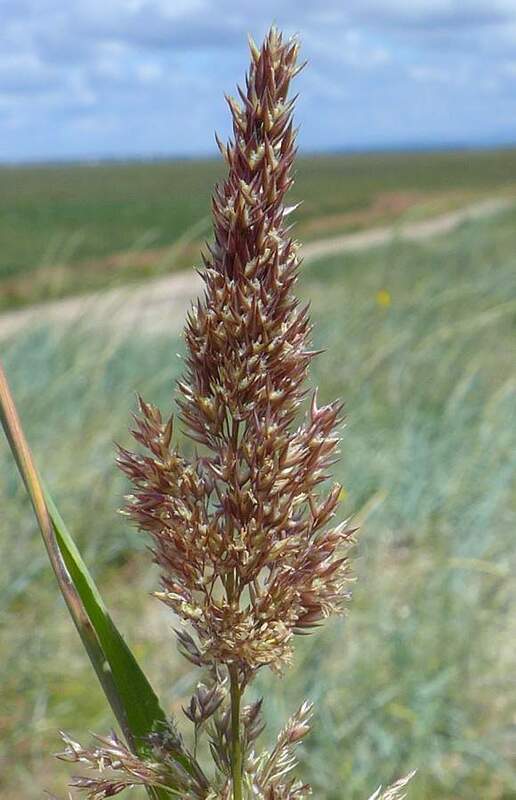 Creeping Bent is an extremely common native plant which is also extremely variable, occurring in dry or wet grasslands and on bare ground, damp meadows, beside canals, by ditches, by ponds, in marshes, beside lakes and rivers and even on dune slacks. Here it is on sand beside the marshes.